Russian military hydrograph, member of the g/e SLO. The information presented here about Antsev has appeared in recent years, thanks to a search conducted by Rostislav Igorevich Malkovsky, husband of a great-granddaughter Irina Vladimirovna Antseva. He was born in the family of a naval officer who served 50 years in the Navy Department and retired with the rank of Captain 1st Rank. 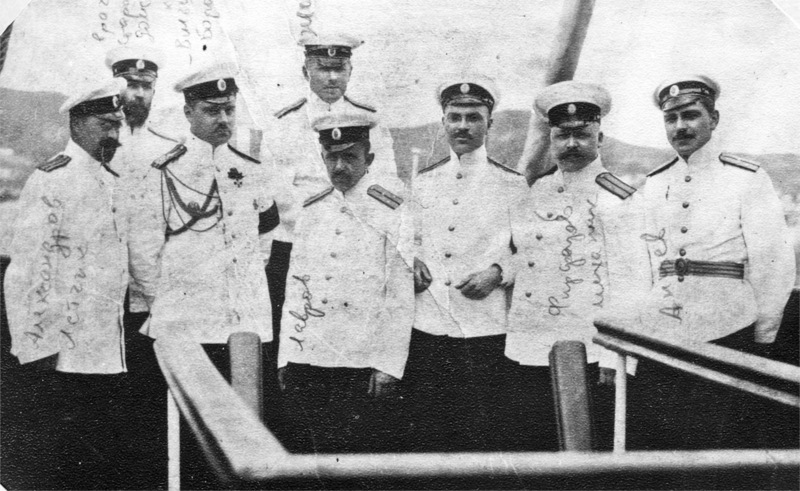 Service Antsev began in 1908 in the Black Sea naval crew, in 1910 became a midshipman, and in the same year for the differences he was awarded the title of midshipman. Then, thanks to his knowledge of English, he was a member of the foreign department of the Marine General Staff. In 1914, he was assigned to the body of Hydrographers and in the rank of lieutenant he was appointed assistant to the chief of hydrography of the Siberian Arctic Ocean, which included the Northern Sea Route from east to west with wintering off the coast of Taimyr. 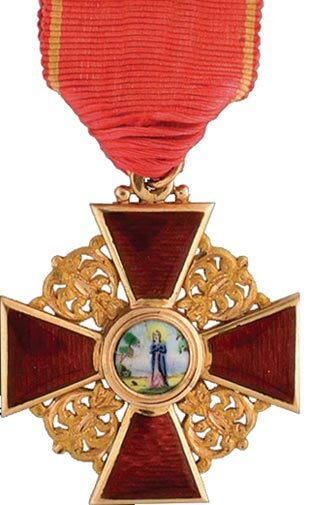 For participation in this expedition on November 12, 1915, Antsev was awarded the Order of St. Anna of the 3rd degree . N.I. Evgenov, A.G. Firfarov, D.R. Antsev. This was followed by classes at the Marine General Staff and secondment to his unit. 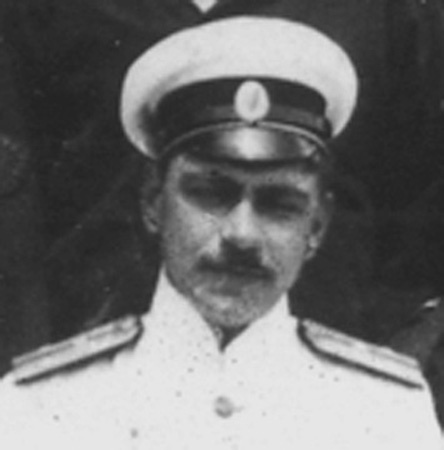 In early 1917, in the rank of Senior Lieutenant Antsev, he was appointed senior officer for the Gnevny destroyer. In March 1918, an order for the Maritime General Staff was dismissed from service due to a reduction in staff, and in August of the same year he was assigned to the icebreaker Ivan Susanin as the head of the Hydrometeorological Unit on the Arctic Ocean Hydrographic Expedition. A detachment of expedition ships to Siberia, equipped with a decree of the Provisional Government of the Northern Region consisting of 16 floating units (including icebreakers, steamboats and lighters) and under the command of Captain 2nd Rank Messer, left Aug. 15 from Arkhangelsk to Nakhodka Bay in the Gulf of Ob with valuable combat cargo for Siberian Army. On September 28, the entire expedition detachment returned to Arkhangelsk, delivering food supplies harvested by the Siberian government for the Northern Region (173,000 pounds of grain, 3360 pounds of butter, 130 pounds of cheese and 35,000 pairs of valenki). Along the way, assistance was provided to the Ust-Yeniseisk Hydrographic Expedition of Senior Lieutenant K.K. Neupokoeev, when traveling from Arkhangelsk to the destination, supplied the Kara Sea radio stations, made additional hydrographic surveys along the way and assisted an English steamer stranded in the Yugorsky Shar strait. The order of the Head of the Provisional Government of the Northern Region, Lieutenant General Miller, noted that the long overdue in Russia need to establish the Northern Sea Trade Route to Siberia was accomplished thanks to the persistent and fruitful work of the Captain of the 1st Arctic Ocean Hydrographic Expedition B.A. Vilkitsky and Chief of the Siberian Expedition, Captain 2nd Rank Messer. Noting the importance of this expedition, Miller announced gratitude to its participants, including Senior Lieutenant Antsev. The latest documentary information about Antsev is dated February 11, 1919. In the order of the Arctic Ocean Flotilla Commander Rear-Admiral Vicoret, the actions of the officers of the Navy Department are considered incompatible with the concept of military honor, dignity, morality and nobility, and a list of officers who were part of the Ober-Officer Court of Honor. Dmitry Antsev is named among them. During the capture of Arkhangelsk by the Red Army, Antsev was captured and transferred to Petrozavodsk, then to Petrograd and, finally, to Moscow, where he was first placed at the camp at Kozhukhovo station, and then at Ivanovsky camp. The last news from him from this point was Antsev’s brother, Mikhail Reingoldovich, on June 16, 1920. During the search brother MR Antsev requested the Moscow Emergency Commission, the Special Section at the All-Russian Emergency Commission, the Central Camps Administration, the Ivanovo camp, the Pokrovsky camp, the Butyrka prison, but nowhere did he achieve anything. The last document concerning Antsev, which we managed to find in the Russian State Archive of the Navy, is dated August 18, 1920. The head of the affairs of the Staff of all naval forces of the RSFSR requested the Special Department of the Cheka: “... please inform us of what the military arrest you have arrested c. Antsev D.R., for what purpose was sent to Arkhangelsk and is his release possible in the near future. ”. Cape in the south of the island Bolshevik of the archipelago Severnaya Zemlya. Opened in 1914, the g / e SLO.